Americans are quitting their jobs like crazy. The latest monthly “Job Openings and Labor Turnover Survey” (JOLTS) showed that in December, the total number of quits was 3.1 million, the highest level in a decade, while the quits rate was 2.1%, the highest since April 2008. The rate takes the number of quits divided by the number of employees who worked or were paid for work. If people are quitting their jobs, it may suggest that they are confident in the labor market and are receiving better-paying opportunities elsewhere. However, it may suggest a higher level of mismatch between opportunity and ability. The report also showed that there were 5.6 million job openings during December, the second-highest ever, and more than the expectation for 5.41 million. The hires rate was 3.7%, and the layoffs and discharges rate was 1.1%. First, let me just say to all the recruiters in the industry who will read this post and immediately say that successful recruiting depends on a skill set earned from professional training and experience. To those, let me suggest that they are motivated to service the elite segment of markets otherwise known as the short-head. For they simply can not afford to service the long-tail of markets in a traditional recruiter business model. On the other hand, we are in the midst of a seismic shift in business models, powered by the internet and a generation of connected users. Today, platforms are being developed that connect diverse participants with one another and enable them to interact–act, react, and transact. They aid the creation of entirely new solutions to solve market problems and many times involve the contributions of every day people. Every day people with tacit knowledge and spare capacity that consumers value. In ability placement markets three forces are powering the rise of new solutions that can reach farther down the long-tail of opportunity and ability: ubiquitous network access with ever-increasing mobile penetration, reputation systems that enable trust among distributed strangers, and access to low cost shared infrastructure with tools and data to capture and coordinate interactions. These are going to have a huge impact on how ability will be placed at best-fit. As I build the Placement Loop platform I think about the role of the referrer, not the recruiter, and what they have that can be monetized. Sales and marketing capability. Referring opportunity or ability as best-fit involves sales and marketing. Referrals want to feel confident that the referrer knows and understands what they’re looking for in a match. But does it have to be done in a way that recruiters do it? Nope. In the long-tail the expectations and therefore the behavior of placement process participants is nothing like in the short-head. 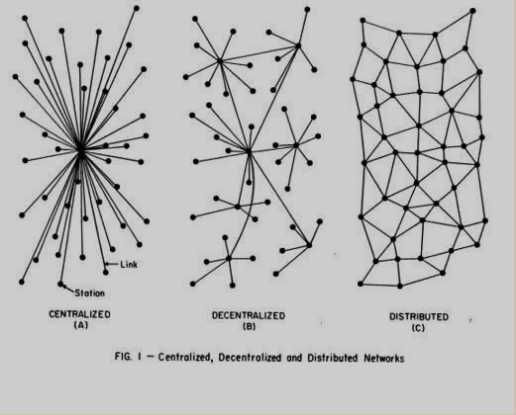 Network building capability. There are members in every industry with deep domain expertise and the will to place ability at best-fit in that industry. I like to describe these people as network entrepreneurs, motivated by their empathy for the domain, whatever and wherever it may be. Influence coupled with empathy resonates with community members like no other. It is tacit and only found distributed in community membership. Social media capability. Just behaving normally and being yourself will attract those like you. Share. Give. Help others. Those who want to become the go-to person in a community to place ability at best-fit will build trust and a reputation. They will be rewarded for their efforts in ways not imagined when they started. Context production capability. I am not saying that distinguished referrers have to become prolific content producers. What I am saying is that talent seekers and candidates alike are bombarded with all the content being thrown at them. This creates so much noise that they can’t hear a signal that resonates. A distinguished referrer, as a deep domain expert in their industry, can share their understanding of content within the marketplace. Messages from community-based referrers resonate with community members more than any alternative. Technology capability. This where Placement Loop comes in with a motivated ecosystem of suppliers that work hard to earn referrers attention by making their life easier. The whole ecosystem of suppliers on the platform is motivated to assure referrers are able to provide advice to employers/talent seekers and candidates accurately, quickly, and affordably. I hope I have stimulated your thinking that it is time for anyone to have the opportunity to become a distinguished referrer in their industry and get rewarded for it. Do you think community-based referrers will help make improvements we are looking for in ability placement markets?